THE VISUAL GUIDANCE SYSTEM THAT SEES THE WAY YOU DO. Recognition Robotics is an independent company that produces category-shifting visual recognition technology that defines future manufacturing’s new normal. "This is beyond vision. This is sight with understanding. 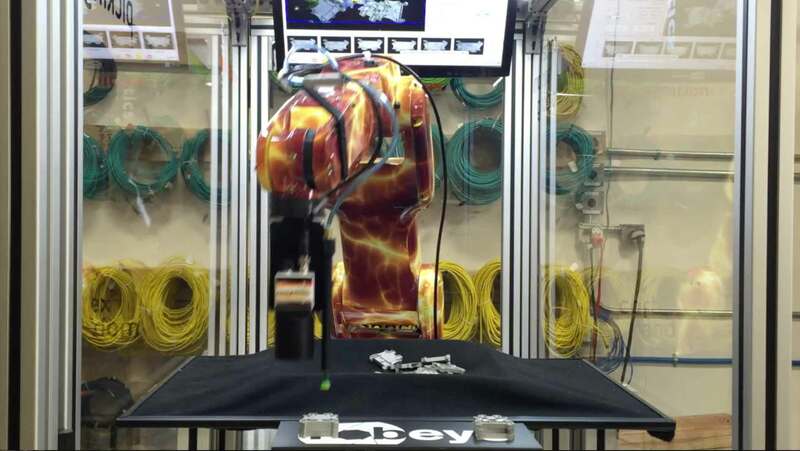 CortexRecognition® software brings true hand-eye coordination to existing automation platforms. " CortexRecognition® is a ground breaking piece of visual recognition and guidance software that powers our Robeye and RAIO systems. Robeye® is a simple and effective Robotic Guidance Solution that mimics the human visual process. Lucana Aero is designed and built specifically to enable Robotic Drilling and Countersinking in air-frame applications.